Fibromyalgia is a chronic disorder with no cure, though its symptoms may be controlled. According to the Mayo Clinic, fibromyalgia is believed to amplify pain sensations by changing the way the brain receives signals from elsewhere in the body. Typically, individuals with fibromyalgia experience musculoskeletal pain throughout their bodies, in addition to severe fatigue, memory loss and trouble sleeping. The simple answer is that no one knows for sure what causes the disease. According to Johns Hopkins Arthritis Center, research suggests that the disease is related to physical disorders of the central nervous system, as well as psycho-behavioral issues such as emotional disorders. Some studies have suggested that fibromyalgia is associated with abnormal sleep patterns. Sleep deprivation can cause hormonal imbalances, which may trigger fibromyalgia symptoms. Some individuals may be more susceptible to the disease from a genetic standpoint. As with many chronic immunodeficiency diseases, women are more at risk for developing fibromyalgia compared to men. Likewise, the condition is most likely to present between the ages of 30 and 50, though it is not limited to these ages. Individuals living with other chronic conditions such as rheumatoid arthritis, lupus or osteoarthritis are more likely to develop fibromyalgia. Can fibromyalgia symptoms be reduced? Though there is no cure for the disease, individuals living with fibromyalgia can reduce their symptoms by taking a proactive approach to their health. The Mayo Clinic recommends that anyone with fibromyalgia get plenty of sleep every night, exercise regularly and consume a healthy diet. A therapeutic massage can reduce pain symptoms temporarily. It’s also important for people living with the disease to remember to pace themselves throughout the day. Extreme exertion can trigger fibromyalgia symptoms. This can be a struggle when symptoms come and go. Fibromyalgia patients should consider keeping a record of their mood, pain and energy levels and diet to gain a better understanding of their personal triggers. By keeping this data on hand, patients can look back and find potential patterns. With this information, individuals can increase the number of opportunities for pain-free days. Does diet affect fibromyalgia symptoms? As with most immunodeficiency conditions, diet plays an important role in the management of fibromyalgia symptoms. 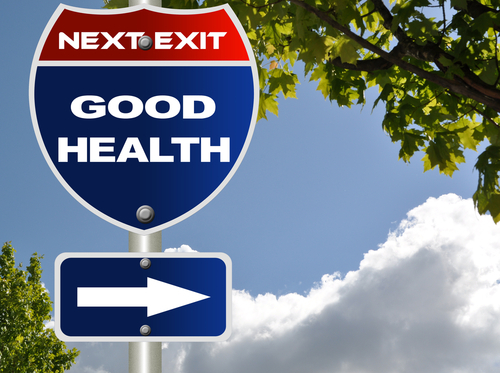 By following God’s Original Diet as described in Genesis 1:29, individuals living with the disease can reduce their symptoms and live more comfortably. Many foods that are common in the American Standard Diet can actually make fibromyalgia symptoms worse. Any foods containing artificial additives and coloring, gluten and MSG should be avoided completely. Likewise, animal products such as red meat, eggs and dairy can cause fibromyalgia symptoms to flare up. Caffeine has also been associated with increased symptoms. 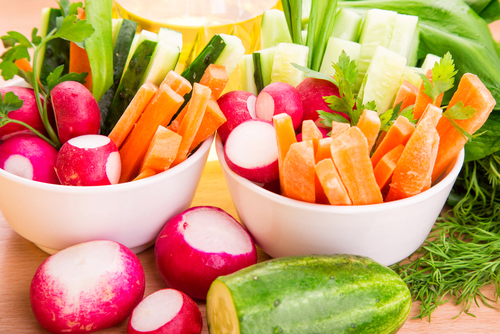 Eating a vegetarian diet is much less likely to cause flare ups. In fact, eating a diet of raw fruits and vegetables can reduce the frequency of fibromyalgia-related pain. In a study conducted by Hallelujah Acres, 19 out of 30 participants had very significant improvement in their fibromyalgia symptoms within just 6 months of following the Hallelujah Diet, with much of the improvement coming within the first 2 months. And this was without taking into account candida infections or heavy metal toxicity, two major contributors to the pain of fibromyalgia. Not sure where to start? Making a veggie smoothie and adding in a scoop of Essential Protein is a great lunch idea. You get the veggies you need as well as organic protein derived from peas, rice and raw seeds. The supplement not only provides essential protein, but also reduces hunger and food cravings. Because women are more likely to experience fibromyalgia, they should consider supplementing a plant-based diet with nutrients that reduce perimenopausal symptoms, which can increase the painful effects of fibromyalgia. For example, the Balance supplement is designed to rid the body of excess estrogen, promote progesterone production and boost immune system functions. 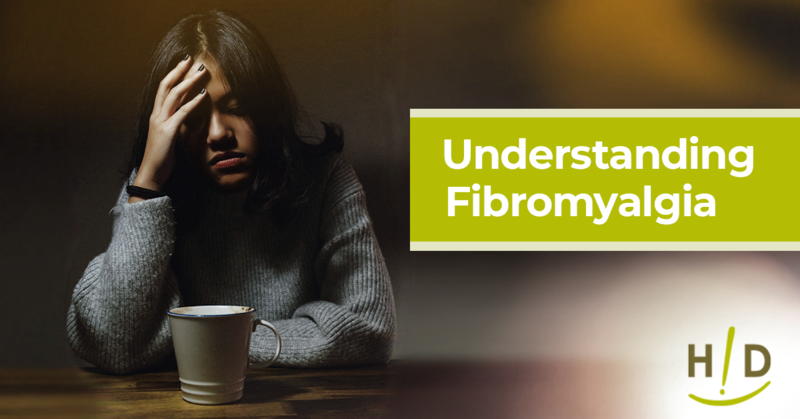 Individuals who experience the life-altering symptoms of fibromyalgia should understand that they can feel better. Adopting God’s Original Diet is the first step toward a healthier, happier life. Good information. I have two sisters that has fibromyalgia, they both have changed they eating habits. They started with excersing too. I remember my baby sister saying the pain was so bad. After she started walking and doing more excerising and it improves the way she feels. I will share this information with both of my sisters. I have shared with them about some of HA Supplements too. I had painful fibromyalgia mostly in my left leg. When I changed to the Hallelujah diet, the pain went away in a couple of weeks. Sugar, milk products, and meat were the big culprits for me. Only once I started to eat the SAD way again, and all the symptoms come back. I have remained pain free for 10 years now, thanks to eating the Hallelujah diet. That is very inspiring. Thank you! I had fibromyalgia for about 10 years — it was painful and crippling, and I was in a wheelchair, at times, unable to work, walk, etc. After three weeks on the Hallelujah diet, ALL the pain and problems disappeared. 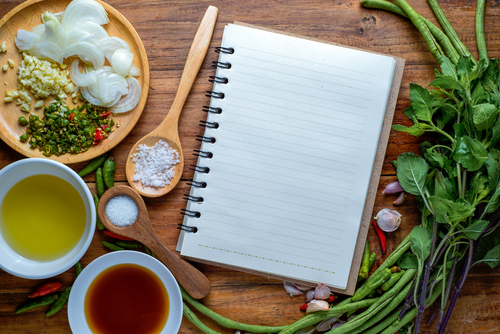 When the medical doctors tell you that what you eat will not affect fibromyalgia — they are sadly mistaken. I know others who followed the diet and their fibromyalgia went away also. Sue, that is terrific! What salad dressing do you typically use? My favorite is berries (blackberries or raspberries) mixed in a blender with raw honey. Adding a little lemon juice will help to liquify the honey. You can be creative with adding whatever fruit you like. A delicious topping to put on cut-up fruit: Mix raw honey with a little lemon juice, then add a sprinkle of celery seed–and pour this mixture over your fruit. It has a bittersweet taste which compliments fruit. Enjoy! Sue, Since my hearing George Malkmus back in 2005 and making countless recipes, I have never seen your recipe! I am a HUGE lover and believer in berries! Thanks a million for replying. Another thing I like about your dressing is how easy it is. Most folks, like myself, don’t have time to do anything elaborate. Perhaps other seasonings would work, too, on your fruit dressing? Appreciate it. Love your story. My best friend has suffered with Fibromyalgia for many years. We have to agree to disagree when it comes to her following a plant based diet to make a difference in not only this, but many other health issues that she continues to take multiple prescriptions for and probably always will. She is one of those people that will blindly follow the doctor’s advice and take the medications to cover up the symptoms instead of trying to eliminate the cause. I love her dearly, and I truly think she could benefit with making the lifestyle change, but she is not open to it at all. Sure seems like a person could try a diet change for 30 to 60 days before they decide it doesn’t work. Great information for anyone suffering from fibromyalgia. You gave people hope that while we don’t have a cure we have great suggestions to help you cope with the discomfort. The diet of fresh fruits and vegetables is great advice. Don’t overexert yourself. Be good to yourself. But please do try to change your diet..even for a little while and see i this doesn’t make a huge difference for you. Thank you so much for this blog. You all seem so lucky to be prescribed something to help you deal with fibromyalgia. I was about 14 years old when I started my journey to figure out what was wrong. After numerous times I thought I broke a bone but didn’t, hundreds of tests coming back negative, chiropractors, physiotherapists, 2 rhumatogists, massages and several doctor switches. It was in my late 20’s that I was diagnosed, but in my late 30’s where it was actually said that yes they did put it down on my chart. I am in my 40’s now, with spinal stenosis and a healed broken tailbone…(because I apparently can’t tell when the pain is ‘real’ or ‘not’) I have never been given the opportunity to try different medications because if the one antidepressant wasn’t going to work, I guess nothing else would. So I remain on nothing. Yes, I had to wait 26 years before they gave it a name, and I still can’t convince them to get me an MRI. But that’s Canada for you.